Here's the perfect backpack for all uses. With the UBIC 30, MILLET sought to optimize foam quality, and focused on load balancing. During its development, the pack was tested by the mountain leaders of the Chamonix Guides Company. Its innovative features allow both summer and winter use. Inherently savvy, it offers tremendous alpine versatility. The innovative Variloop system lets you fasten snowshoes on the side but also skis, poles or ice axe. Its athletic ergonomics and streamlined mountain shape will earn plaudits. 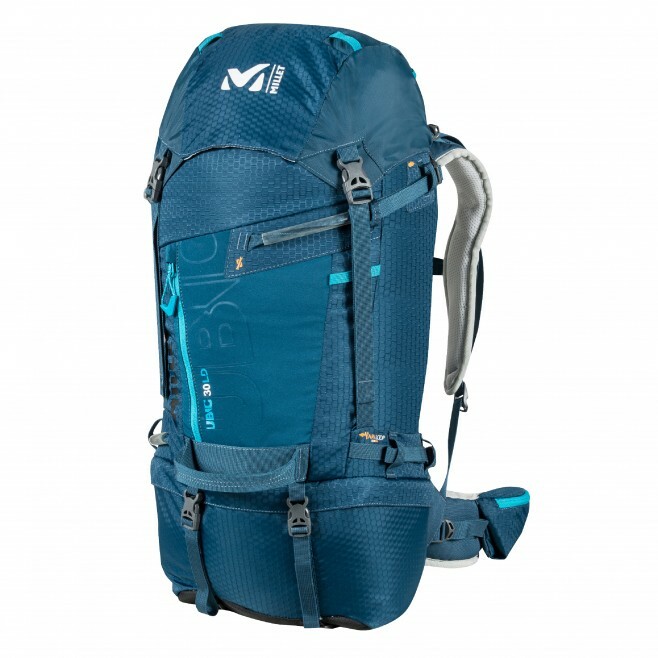 The product manager's view: popular for its well padded, super-wraparound hip belt with 3D mesh covering, and its pack-bottom compartment appreciated for its excellent load adjustment and modern, adventure-driven style!